Divorce procedure in Romania underwent reform with the 2011 New Civil Code. Divorce by agreement can be obtained at any time – there is no minimum separation period. There are three routes to divorce. Couples can go down the purely administrative route if they agree matters and there are no children. This is a straightforward procedure handled by a civil servant from the area in which the marriage took place. Alternatively a notary can grant the divorce if there is agreement on all matters including children issues. If applying to a Romanian court for divorce, one of the grounds for divorce must be proved. One of these is that the petitioner suffers from an illness that makes continuing in the marriage impossible. Unusually the Code provides protection for engaged couples. If an engagement is called off, the ‘guilty’ party (the one who decided to end the relationship) must compensate the other for any expenses related to the forthcoming marriage. Engagement gifts must also be returned. 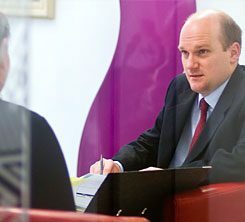 We are specialist divorce solicitors and family law firm and we advise clients who have a connection with Romania. Our clients can include those who are UK–based but originate from Romania, are living in Romania but have a connection with England or Wales, were married in Romania, or have other family connections with Romania.